What Did We Do In 2019? A full ShabbatUK weekend involved 154 members keeping Shabbat right through from Candle Lighting to their Musical Havdalah, something made all the easier and more special by the launch of the Barnet community Eruv on Shabbat. An array of Shabbat afternoon activities – among them a ‘shloof station’ and a ‘board games station’ – were complemented by the presence of Dayan Abraham and Rabbi Daniel Rowe, two sterling speakers whose thought-provoking talks left listeners feeling spiritually enriched. Earlier in the week members enjoyed creative Challah Makes for both women and men. We brought over Ari Lesser, a rapper/songwriter/ singer from USA to Barnet for Shabbat UK. He was absolutely incredible and loved by every member of our community both young and old unaffiliated and affiliated. He inspired and entertained our community at our Challah bake, Friday night Davening, Friday night Dinner, all the children’s services on Shabbat morning and rapped a phenomenal sermon in the main service that had people mesmerised. It certainly brought people closer to the community and I have already had emails asking about similar programmes to be put on during the year! 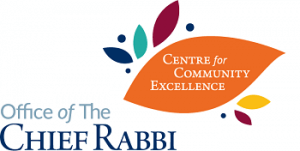 This event was supported by The Chief Rabbi’s Centre for Community Excellence (CCE). Fundraising and advice for new programmes and events are available to communities under the aegis of the Chief Rabbi.